Maui, Hawaii (NBC) – Dr. Wayne Dyer, the self-help guru whose best-seller “Your Erroneous Zones” was adopted by millions as a guide to better living, has died at 75, his family and publisher said Sunday. Dyer died Saturday night in Maui, Hawaii, said Reid Tracy, chief executive of Dyer’s publisher, Hay House. The cause of death wasn’t immediately reported. Dyer became a media sensation, touring the U.S. and appearing on virtually every TV talk show. Often promoted as “public television’s favorite teacher of transformational wisdom,” he was a fixture on PBS for almost 40 years and became embroiled in a controversy over complaints beginning in 2006 that he was promoting a specific religious worldview in violation of PBS’ editorial policies. Michael Getler, PBS’s ombudsman at the time, wrote in 2012 that it was “my sense” Dyer’s advocacy strayed outside the PBS’s editorial standards but that the PBS board disagreed with him. Dyer’s philosophy mixed New Thought self-actualization theory and nondenominational spirituality — which held up Jesus as an icon of self-reliance but stood away from religious institutions themselves as stifling bureaucracies. A lawsuit alleging that Dyer had appropriated chunks of two books analyzing Buddhism by poet Stephen Mitchell was dismissed in 2011 (PDF). For millions of readers around the world, however, Dyer’s teachings were a key to sloughing off society’s focus on guilt and clearing the mind to enable success. Dyer was embraced by Winfrey, whose OWN network broadcast many interviews with and documentaries by him. A separate 2012 interview with Dyer was featured on the homepage of Winfrey’s website Sunday evening. The spiritualist magazine Mind Body Spirit regularly listed Dyer as one of the 10 most spiritually influential people in the world. He ranked eighth last year. 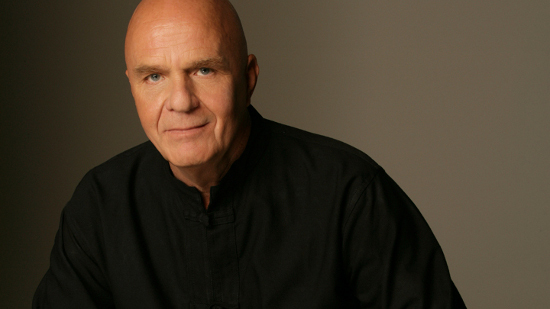 Be the first to comment on "Self-Help Pioneer Dr. Wayne Dyer Dies at 75"